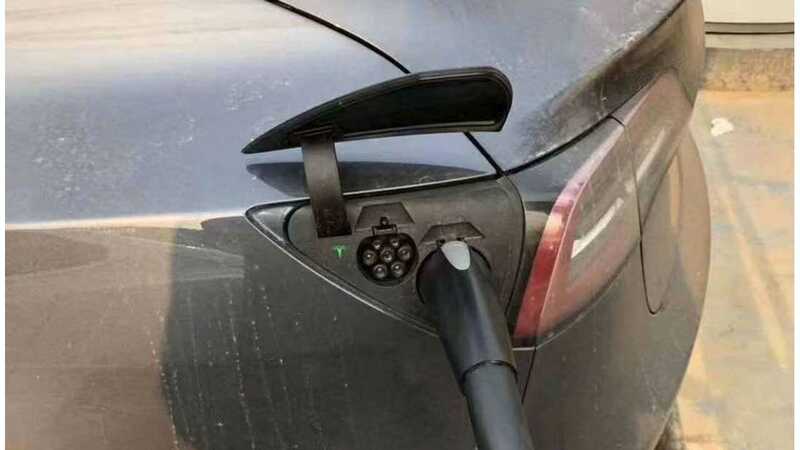 Tesla sends some first Model 3s to China (customer deliveries are expected later this year) and almost immediately an enthusiast noticed the additional GB/T DC charging inlet. Tesla adds GB/T in the case of newer Model S and Model X, since late 2017, to comply with the nationwide Chinese standard. "Model 3 with China GB charge ports spotted running around, likely testing compatibility with public charging stations"
In Europe, Tesla is switching to CCS DC Combo charging inlet to improve its compatibility with charging infrastructure. The question is when will Tesla decide to make possible DC fast charging from CCS1 (SAE J1772 Combo) in North America? Taking into account GB/T in China and CCS2 in Europe, it should be expected, especially since CC1 installations are on the rise in the U.S.